How to share S&Ts with other users such as key stakeholders whose contribution or buy-in is needed? You can present your S&T to other users for review and validation or SHARE the tree with multiple users so they can review and make comments on it or modify content. To Share, return to the Home Screen. 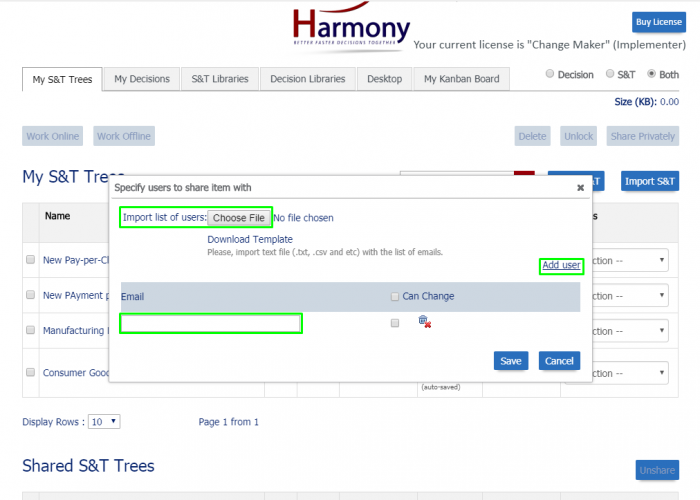 Select “Share” option from “Action” menu of any S&T tree which you want to share. You can input email address of the user or you can import list of email addresses with whom you want to share S&T tree. You can add new user by clicking on “Add User” to share tree with multiple users. 1. 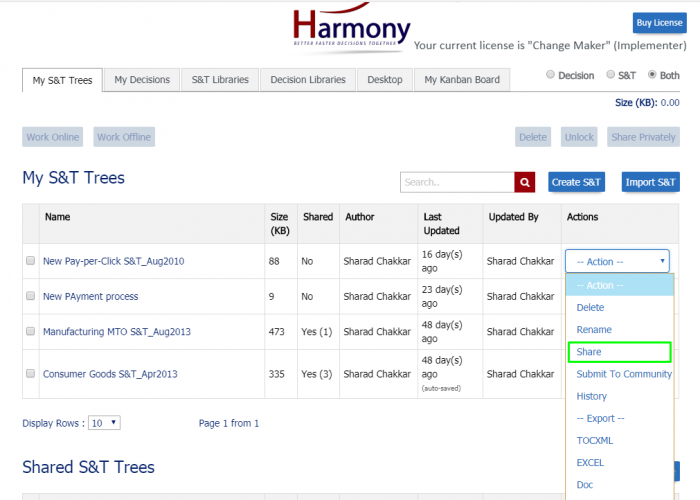 Select "Share" option from "Action" menu of any S&T tree which you want to share. 2. You can input email address of the user or you can import list of email addresses with whom you want to share S&T tree. You can add new user by clicking on "Add User" to share tree with multiple users.